The term “alternative media” is in vogue worldwide for providing information from non-conventional sources, in contrast to the "mainstream" media, which is, more often than not, a commercial venture. An international trend, alternative media is unique in form, content and audience relations. One of its principal features is, it sources information from alternative, often contrasting quarters. In www.counterview.net, an attempt has been made to do this with the active support of all those who feel that official information cannot be synonymous to authenticity. The sources of this news blog are alternative, often contrasting, and not those on which the "mainstream" media heavily relies upon – the ruling establishment, economic or administrative. Begun in February 2013, news and views published in www.counterview.net, as far as possible, are based on information obtained from alternative sources, which may or may not be available in public domain, allowing readers to make independent conclusions. The aim, certainly, is not to tell the reader what and how to think, but to reflect the alternative world. A closer look at the word "counterview" reveals something interesting -- it doesn't just mean "an opposite point of view", but also "a position in which two dissimilar things illustrate each other by opposition; contrast" (click HERE). In this sense, "counterview" would connote reflecting news and views from alternative (even irreconcilable) sources. 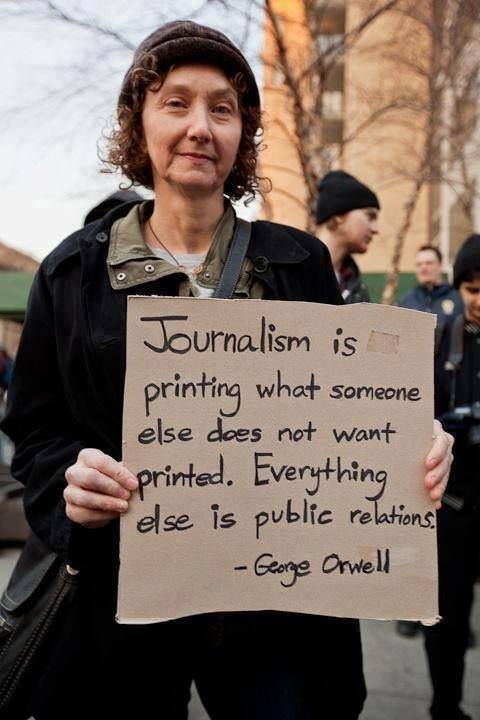 "Journalism: Comfort the afflicted and afflict the comfortable. Public relations: Serve the client (who is likely to be comfortable)." Kindly enrich the effort by contacting us.